Travel day! We left cool, grey Tarporley at lunchtime to board our flight at 4:30pm. 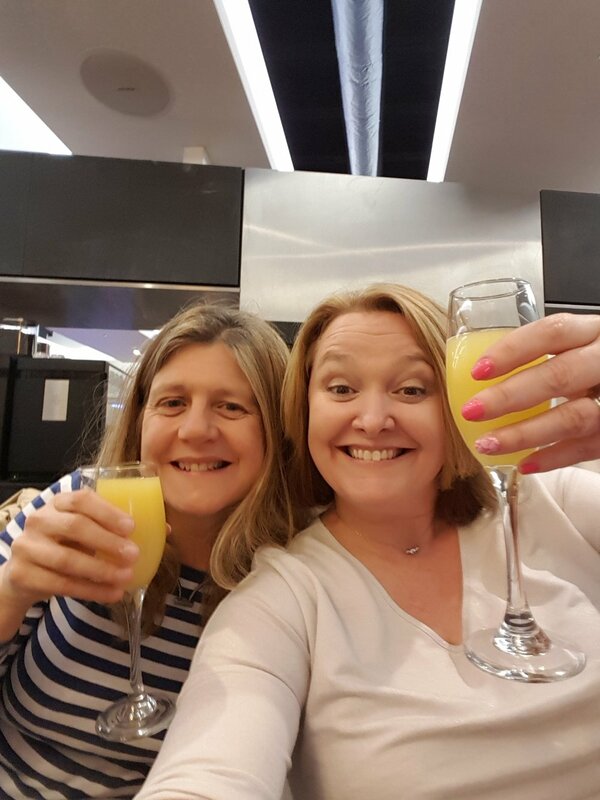 We understand prosecco was consumed at the airport and on the plane, but can't confirm details ;)! Karen Smeatham managed to hand out quite a few flyers on the plane to fellow passengers and shortly before landing, the cabin crew asked for a song. Obviously we agreed and gave a brief rendition of Chatanooga Choo Choo at 20,000 feet! Our fellow passengers clearly enjoyed it as we got our first round of applause, but sadly there was no time for an encore! We nearly lost half the choir between the airport and the coach as they followed another group of travellers. Once on the coach, however, we gained a new member as someone from one of the other tours got on our coach by mistake! We arrived at the hotel without further incident, unpacked and finished the day off with a little night cap at the bar. Weather forecast for tomorrow is wall to wall sunshine and 23 degrees - hurrah!